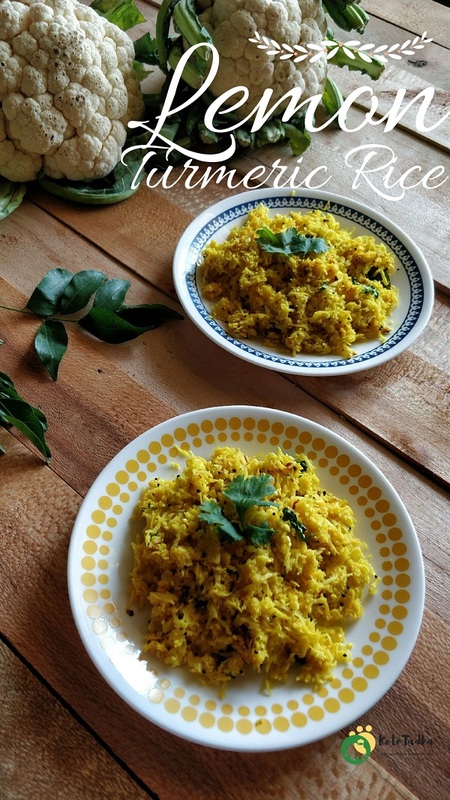 The best Keto Cauliflower rice Indian Recipe <3 ! 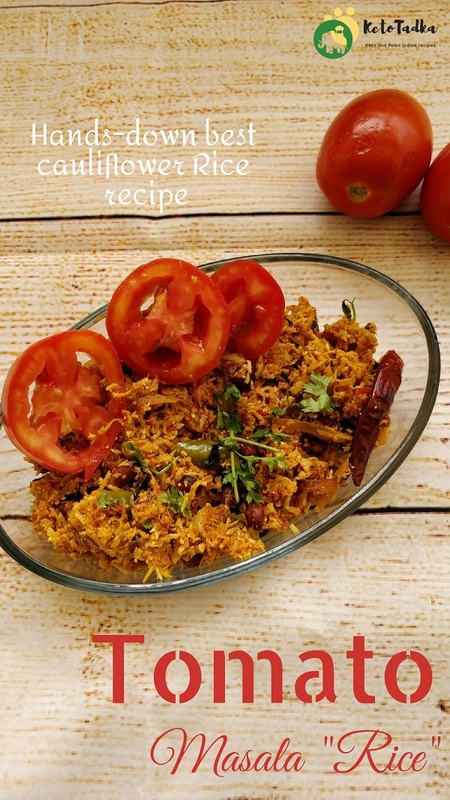 ‘Indian Masala Bhaat’ is a famous recipe and something I grew up eating 😛 Being a Maharasthrian, this recipe is a must if we have any festival or even Pooja. 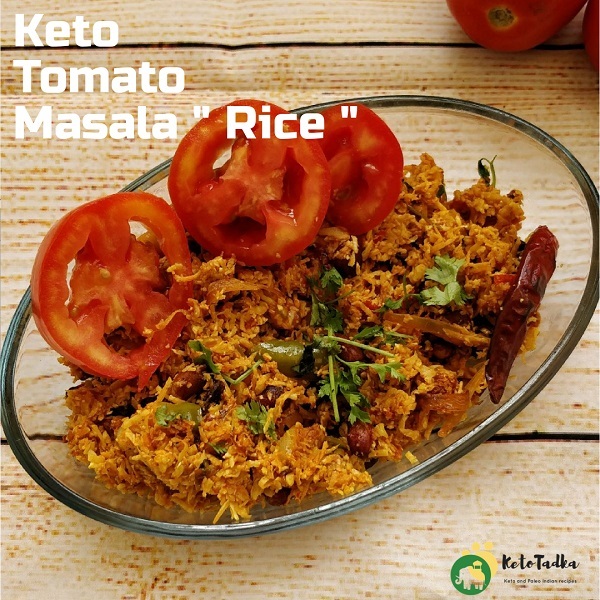 I add all sorts of vegetables with the masala and it is often a flavourful and aromatic Rice bowl. This time, I wish I could add french beans and some Ivy gourd along with some cabbage; but I didn’t have any vegetables at hand. You can definitely add it with the tomato. For me, tomatoes have always been IIFYM vegetable. 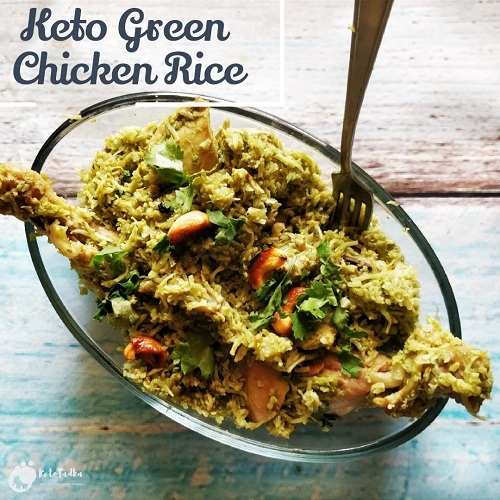 The fact it is tastier than other low-carb vegetables and is often a recurring ingredient in Indian Cuisine , I choose to have it in moderation. Also, I love it and I lost maximum of the fat without counting macros 😉 For me, restriction is always robbing us off the tasty food and making us sick inside. I am a huge supporter of ‘One-day-at-a-time’ mentality. I don’t believe in being sad about my food choices. I believe everybody is different, and it should not be so hard to accept the fact that we may have different choices and metabolism. So, if you have anyone lecture you about Tomatoes, just ask them to get a life, really ! Melt the ghee in pan over medium high flame. Once hot, add the whole spices and mix till they leave aroma. Add the onions, tomatoes and nuts of your choice. Let the tomatoes turn mushy. Add the ginger garlic paste and mix well. Add the turmeric, chilli powder, green chillies and salt . Mix well. Add the riced cauliflower. Add the tomato puree and coconut milk. Mix well and cover for 5-7 minutes. Some water leaves out, let that evaporate. Garnish with corainder leaves and enjoy with some Indian curry or Raita. Ketotadka is a participant in the following affiliate programs: Amazon Services LLC Associates Program, These affiliate advertising programs are designed to provide a means for sites to earn advertising fees by advertising and linking to amazon.in. © Ketotadka.com 2017. Unauthorized use and/or duplication of this material without express and written permission from this site’s author and/or owner is strictly prohibited. 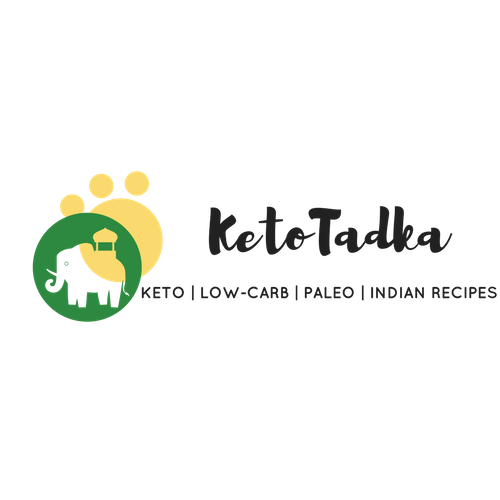 Excerpts and links may be used, provided that full and clear credit is given to Ketotadka.com with appropriate and specific direction to the original content. 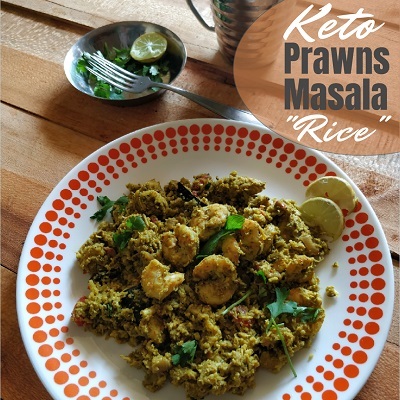 any recommendation on how to make the cauliflower look like rice? Little confused on how you did that?